Chalk up another first for the cannabis industry. Not only was the meeting arguably historic given the involvement of top state-level legal officials, but it culminated in an agreement to develop something the cannabis industry sorely needs: national cannabis business standards. The group – which met in Hawaii – agreed to start work on a “Code of Responsible Practices” to help govern cannabis companies and promote the trade, even though many of the attorneys general hailed from states without legal MMJ or recreational marijuana. Michael Bronstein, the lead consultant for the American Association for Cannabis and Hemp, said the intent is to develop an industrywide governing body that will help legitimize the cannabis industry in coming years – and assuage government fears at the same time. “The idea is to impose standards so that…regulators feel comfortable with the marketplace practices that are going on, and that will allow for a safe market expansion, which is what attorneys general are looking for,” Bronstein said. White added that it’s very much in the industry’s own best interests to start working on such standards. Bronstein added that the code would be similar to standards used in other industries, such as the beverage and pharmaceutical sectors, to aid in self-policing when it comes to issues such as production practices. Topics to be tackled by the code include everything from childproof packaging and marketing guidelines to manufacturing standardization and testing guidelines. A committee of public officials and industry representatives will work together to develop the code. Some of the attendees at the meeting, which was hosted by the Conference of Western Attorneys General, included MMJ America’s Jake Salazar, Medically Correct’s Bob Eschino, and High There’s Todd Mitchem, along with representatives from the Coalition for Responsible Cannabis Production and the American Association for Cannabis and Hemp. The attorneys general at the conference hail from Alaska, Arizona, Colorado, Florida, Guam, Hawaii, Iowa, Mississippi, Montana, Nebraska, New Mexico, North Dakota, the northern Mariana Islands, Oklahoma, Oregon, Rhode Island, South Dakota, Utah, Vermont and Wyoming. There were also representatives from the attorneys general offices of Idaho and Michigan. MMJ is legal in about half of those states, and recreational marijuana is legal in three. Mitchem called the conference “monumental,” saying the fact that attorneys general from states where cannabis isn’t even legal are willing to speak to those in the industry is yet another indicator that the marijuana movement is making strides. Mitchem suggested that the Code of Responsible Practices could also lay the framework for regulations to be adopted by the next states to legalize either MMJ or adult-use cannabis, most likely in 2016. “We hope that people will see us raising the bar, so when they look to legalize, they’ll say, ‘Here are some standards and processes that we could look at to guide us so we don’t make a big mistake,'” Mitchem said. Eschino added that he thinks industry leaders working hand-in-hand with government officials on appropriate regulations for the industry is simply the logical next step, and said the best thing companies can do is get on board. “If you’re not at the table, you’re being told what to do,” Eschino said. He added that such a code will likely make it simpler for cannabis companies to expand nationally if there are uniform standards set up across the entire country. The challenge will be convincing businesses to adopt the guidelines and standards. A joint effort by Americans for Safe Access and the American Herbal Products Association to create industrywide standards has gained some traction, but it has also run into difficulties on this front. Many businesses are reluctant to pay to meet standards and participate in these types of programs. For companies concerned about how conforming to a new Code of Responsible Practices may cut into their bottom lines, Mitchem said that establishing such uniformity will likely save everyone money in the long run. Eschino said Colorado companies are already dealing with super-strict rules. The choice, they both reiterated, is whether or not companies would like to have a say in the regulations they have to comply with. “Ultimately what’s going to happen is either we are… going to figure out these things together, or regulators will do it for us,” Mitchem said. Mitchem also said that the sense he got from the 20 attorneys general is that legalization – in some form or another – already feels like a foregone conclusion to them. Bronstein agreed and said he hopes the Hawaii conference is a sign of further collaboration down the road between cannabis companies and government officials. A full list of committee members will likely be announced in a few weeks, Bronstein said. There is no timeline yet for when the code may be written, Mitchem said, adding that the project is ongoing. Excellent article, a watershed moment indeed. The conversation isn’t about why MJ anymore, so much as it is about how to do it correctly. Standardization helps, so does fostering unity through professional associations promoting professional standards. These are the core beliefs of our company as well, which is why we’re working so hard on offering compliant products and services to the industry. Are some of the laws and requirements overly strict? Sure, considering we’re talking about a plant people have used safely for thousands of years. But the only way to help shape those laws and regulations is for the industry to come together and make our collective voices heard. This meeting of the AG’s and industry associations is a very hopeful step in the right direction. These guys are a bit late to the game, but great intention! Hmmm … a little odd in thinking that a group of attorneys would provide for national cannabis business standards? While I would like to see some sort of standardization of best practices the recent rules and legislative initiatives as deployed by states entering the space offer enough of a challenge for those trying to navigate the points of entry into this industry. 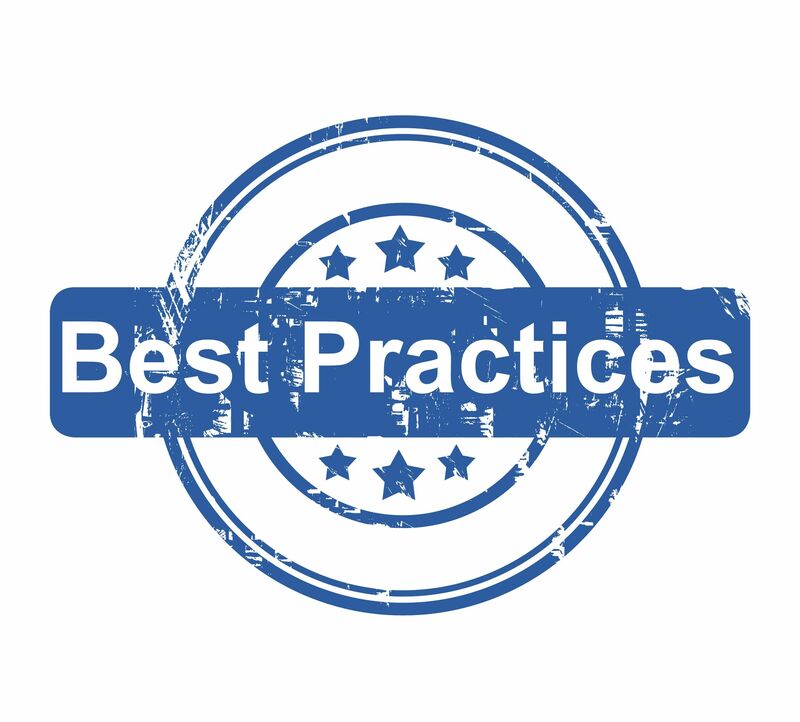 Perhaps a best practices initiative 1st and then guidelines once a best practices measure gains some traction? Financial requirements are pretty straight forward in my mind, audited or otherwise in consideration of taxation and 280E elements. Standards are nice. But it sounds like this was a meeting of big players trying to grab the market. Small mom an pops are the lifeblood of this industry. THAT THE INDUSTRY MUST ABIDE BY STANDARDS, IS A NO-BRAINER. As chairman of the Growers and Producers Association, here in Jamaica,I can attest to this need for the worldwide market. Mr. Michael Bronstein, Our organization G(F)GPA, is interested in making contact with you. My email address [email protected]. Looking forward to hearing from you ASAP. Hoping you receive this mail, maybe via a message from the comments department. According to this article, almost 1/2 (19)of the country’s state attorney generals were at this conference. Such a convergence, it seems, would have drawn considerably more national attention. Is this accurate? Thank you so much, Marijuana Business Daily, for your continuous superb coverage. I love CWAG Exec. Director Karen White for being so stern. Implementing Ms. White’s vision is really simple. The U.S. Congress must completely remove the word “marihuana” from Schedule I of the 1970 Controlled Substances Act, and not simply “reschedule,” which rips the heart right out of the entire cannabis prohibition. Rename the federal agency the Bureau of Alcohol, Cannabis, Tobacco and Firearms and finance the new division with a tiny tax on all sales made possible by the plants’ raw materials. Groups like Women Grow should have a central role in the subsequent creation of said “standards.” Usually, in the business world, the ladies know best how to be truly compassionate while pursuing decent incomes for all. And it’d be the height of irony, since belligerent men have suppressed the cannabis industry for so long by demonizing seedless, female flowers.